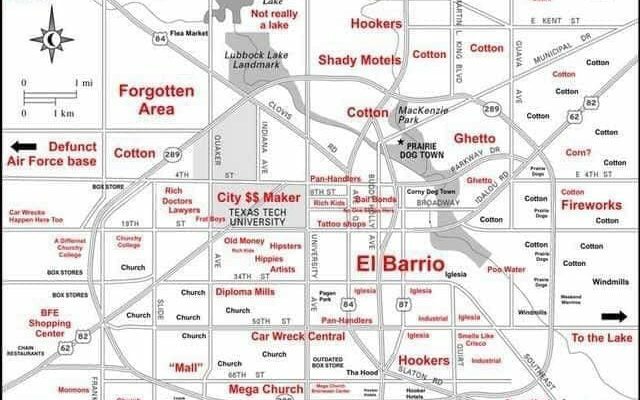 A “judgmental map” of Lubbock, Texas, is making the rounds on social media, causing more than a few laughs and perhaps a few offended viewers as well. The judgmental map of this South Plains city first came to our attention on Sunday, January 13. Judgmental maps of other Texas cities have caused a stir in the past. A few years ago, the one focused on San Antonio had some residents up in arms and others howling with laughter. After San Antonio got the judgmental map treatment, now it appears it’s Lubbock’s turn. The hometown of legendary rock n’ roll pioneer Buddy Holly and the home of Texas Tech University, Lubbock is also the epicenter of cotton production in West Texas. 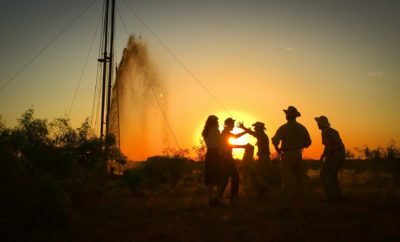 Visitors and residents know the truth: Lubbock has greatness to spare and plenty of great attributes to brag about. The judgmental map, on the other hand, takes a decidedly cynical, albeit sometimes humorous look at the Hub City. At the time of this writing, the identity behind the cartographer of this viral map isn’t clear. 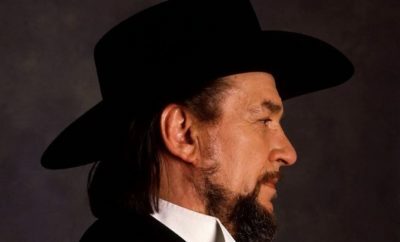 We get the feeling it wasn’t done out of real malice, but rather an attempt to give a mostly gentle ribbing to a Texas town that most people grow to love. What do you think? Is the judgmental map of Lubbock way off base, or did it accurately describe some areas? We certainly can’t argue with its description of a few vast swaths as simply “cotton.” White fields surround the Hub City every harvest season. This isn’t the first time Lubbock has caught some flack. In 2014, a study by the Movoto Real Estate Blog used 2010 census data to make the claim that Lubbock was the most boring city in the nation. Will your Texas town be the next subject of a judgmental map that goes viral? The judgmental map probably isn’t the kind of a thing a traditional community booster would go in for, but hey, there’s no such thing as bad publicity, right?